American Metro Center is a 487,000 SF office building in Hamilton, NJ adjacent to the Hamilton Train Station. 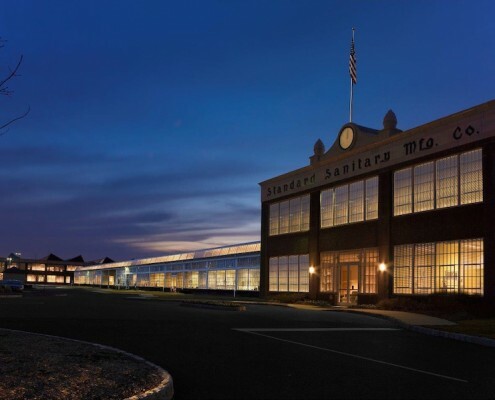 This historic property was originally a manufacturing facility for American Standard Company but was completely renovated to provide first-class office space. Hatzel & Buehler was awarded the contract to install new 15kV switchgear, transformers, major distribution feeders and panels.